At Torrington Brush Works, we know that there are always those projects where you might need a hard to find or random miscellaneous product for your project. 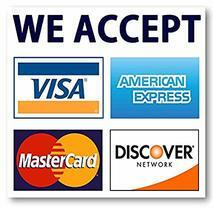 We offer several items that can help our customers with just that. One miscellaneous product that Torrington Brush Works carries is a cotton potash swab. This swab is heavily filled with four rows of 4-ply cotton yarn and is hand stitched into a hardwood curved handle block. Another product offered through Torrington Brush Works is a high quality round and oval sash brushes, hand crafted with 100% pure china bristle. This oval sash brush is fashioned with off-set heads to access all of those hard to reach places. Torrington Brush works also offers boxes of multipurpose and useful cleaning clothes. These cloths are made of 100% white "T-Shirt" material and come in various sizes from 15" squares to 18" x 24" rectangles. Besides being highly useful for cleaning, they are also washable and reusable making these cloths very Eco-friendly.